"If they find you here, they'll kill ya." 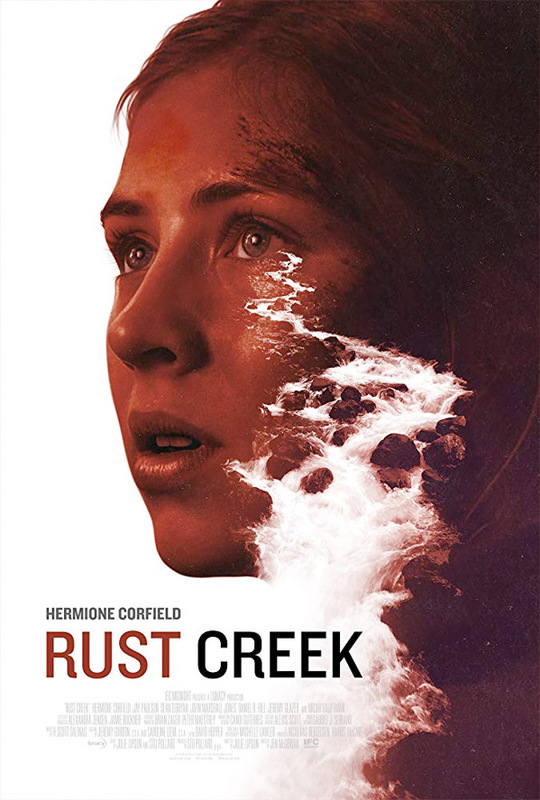 IFC Midnight has released a trailer for Rust Creek, an indie survival thriller from filmmaker Jen McGowan which premiered at the Bentonville Film Festival earlier this year. The film is about an "ambitious, overachieving college senior" who is heading to a job interview, but makes a wrong turn and ends up stranded deep in the frozen Kentucky woods. She is forced into an uneasy alliance with an strange loner with "shadowy intentions", while trying to survive and find her way back home safely. The cast includes Hermione Corfield, Jay Paulson, Micah Hauptman, Sean O'Bryan, Daniel R. Hill, John Marshall Jones, and Jeremy Glazer. This looks very much like a Kentucky woods thriller, exactly as it sounds, with some twists & turns to go along with the survival. Not sure if it's any good though. An overachieving college student gets lost on her way to a job interview. A wrong turn leaves her stranded deep in the Kentucky forest. The young woman must defend herself against the harsh elements and a band of ruthless outlaws. She is forced into an uneasy alliance with an strange loner who has unknown intentions. 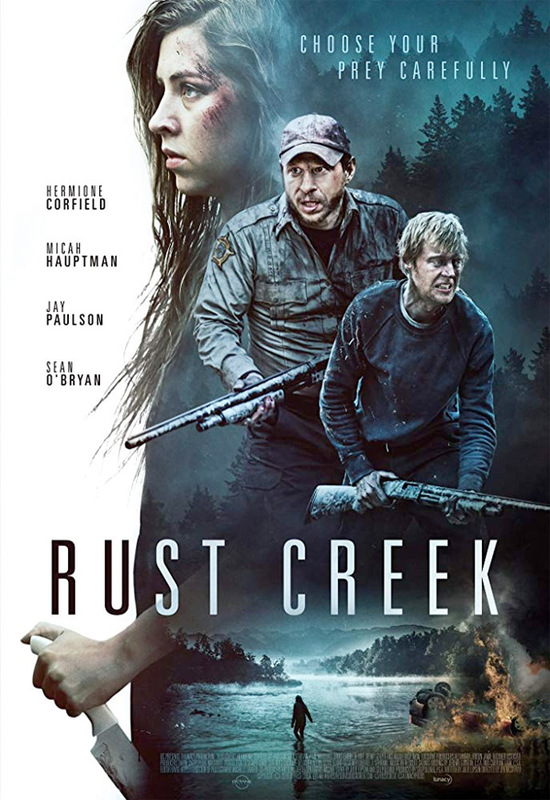 Rust Creek is directed by American filmmaker Jen McGowan, a former production manager making her second feature film after her debut Kelly & Cal previously. The screenplay is written by Julie Lipson; based on a story by Stu Pollard. This first premiered at the Bentonville Film Festival earlier this year, and played at a few other small festivals throughout 2018. IFC Midnight will release McGowan's Rust Creek in select theaters + on VOD starting January 4th, 2019 at the very beginning of next year. Anyone?